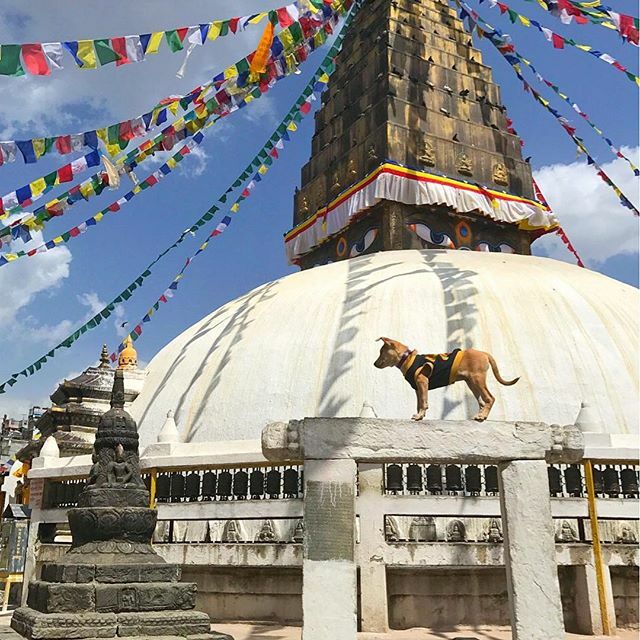 Home / Dog Blog / Here Comes Traveling Chapati, an Indie Stray Adopted Pup Exploring The World! 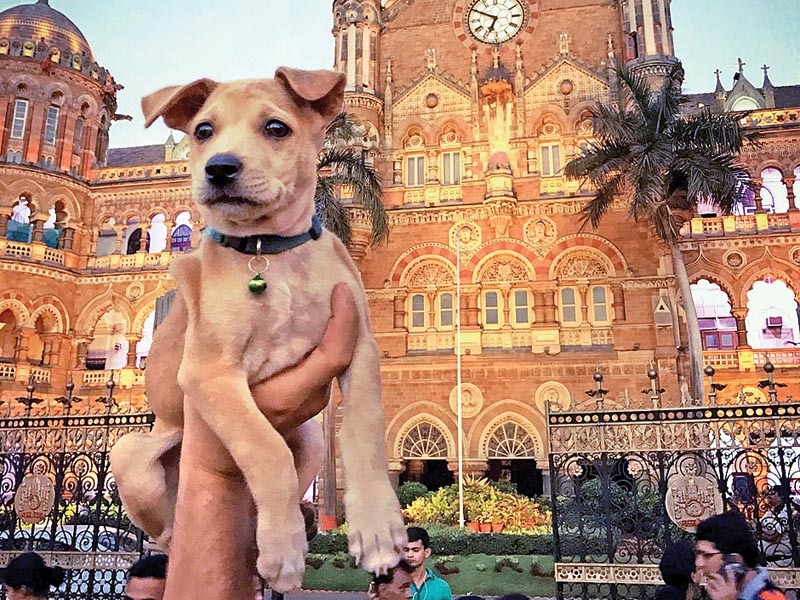 Here Comes Traveling Chapati, an Indie Stray Adopted Pup Exploring The World! 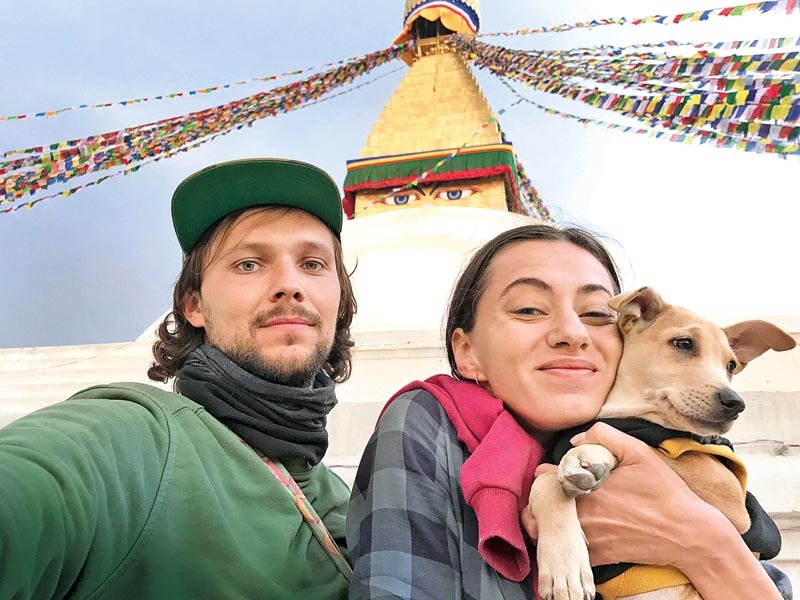 After completing her India tour, Chapati, adopted from Kochi by a Ukranian couple, is now in Thailand and heading to the Philippines and later, Italy When Kristina Masalova and Eugene Petrus set out on their world trip in February this year, they never imagined they would get a cute, four-legged companion on the way. 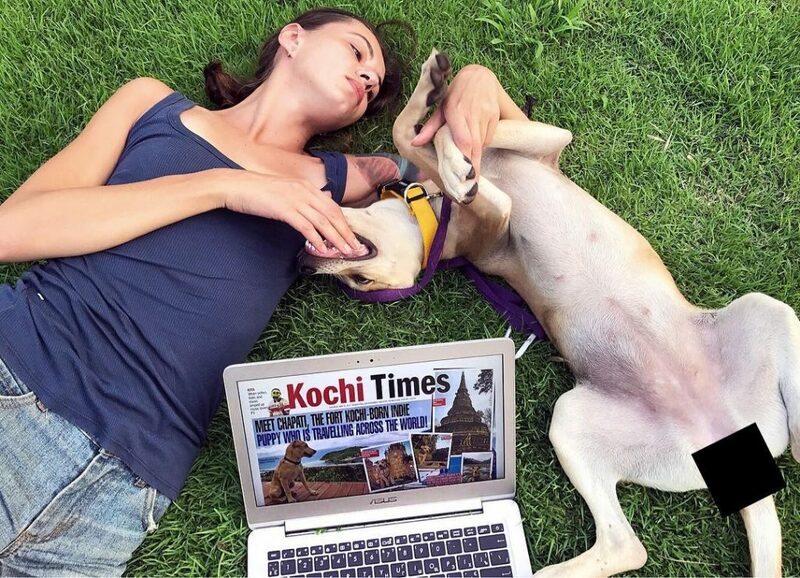 The Ukranian couple found 'Chapati', an Indie pup at Fort Kochi, starved and dying, and decided that they couldn't just leave her behind. Chapati has travelled in cars, buses, tra ins, bikes and even ferry in her four-month-old life, and is reportedly, enjoying every bit of it. 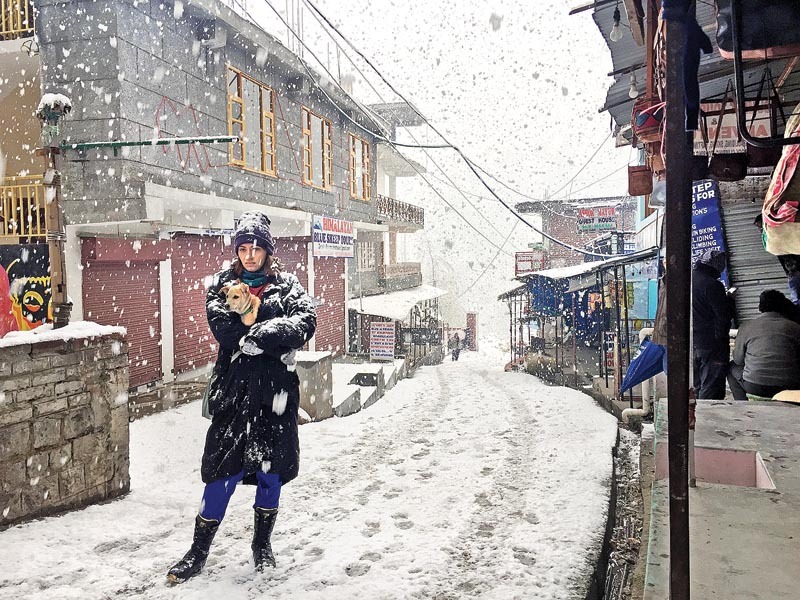 Chapati's Instagram handle, travelingchapati, is full of her travel pictures, and is eagerly followed by many. Read on as Kristina reveals Chapati's incredible journey. 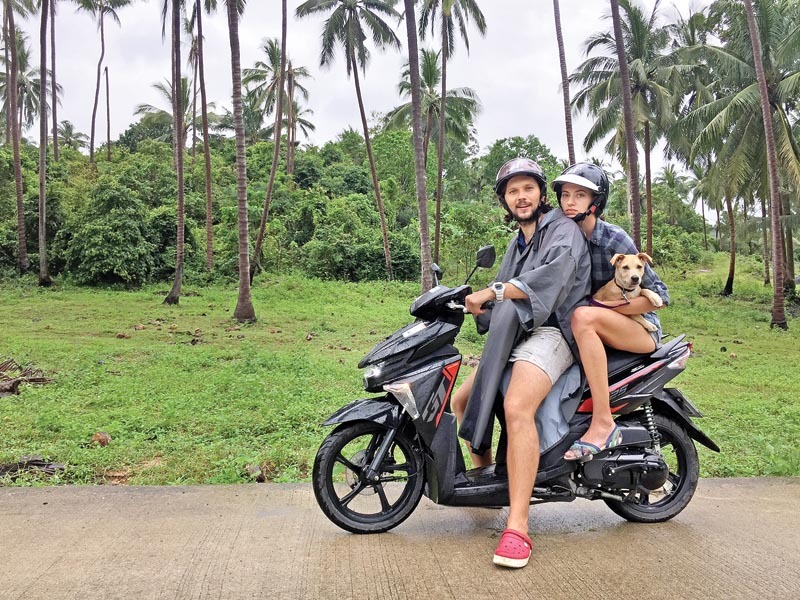 During a candid interview with The Times of India, Kristina & Eugene gave insights about with their journey with Chapati Tell us a bit about yourselves... how did you set off on your journey, where did you begin? I was writing a PhD thesis on Ancient Egyptian religion and my husband was an advertisement specialist. We were not happy with what we were doing and so one day, decided to reboot our lives. 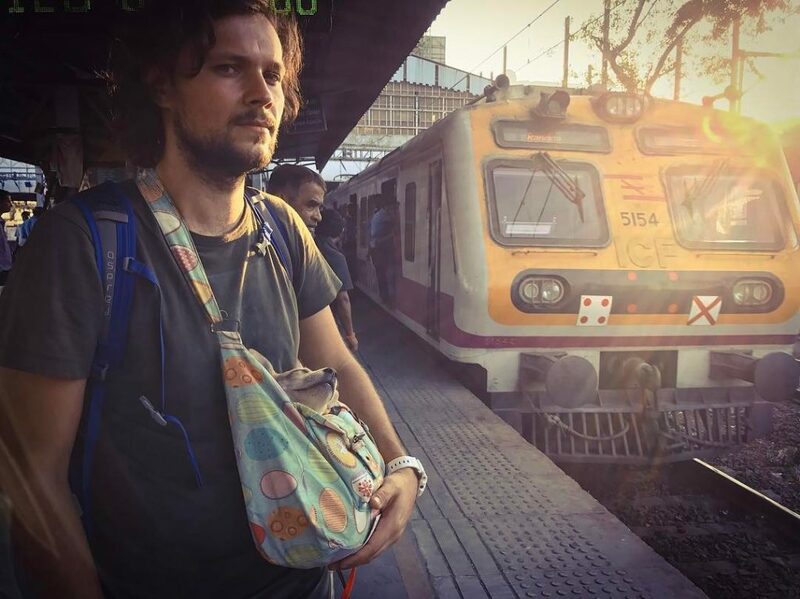 We quit our jobs, sold some belongings, let our apartment for rent and searched for the cheapest one-way ticket to India. Kochi wasn't in our plan but it was the cheapest ticket from Kiev (the capital of Ukraine) to India and we landed here. And how did you meet Chapati? We started our journey from Fort Kochi, and had planned to stay here for only two days. But destiny had other plans, and on the second night, we came across a tiny, dehydrated puppy in the darkness, all alone. We realised she wouldn't survive on her own, and wanted to give her a chance. The next few days were spent searching for a good hospital for her and by the time we had finished all the emergency procedures, we realised she was family already. She was thin and tan like a Chapati, and we had no doubts what to name her. The next thing we knew, we were googling how to travel with a dog in India. Where all did you travel with Chapati? We headed to Varkala from Fort Kochi, where we researched on dog-friendly hotels and transport. Once we had a plan, we set out for Goa, which turned out to be the most pet-friendly place ever. She was allowed in all the cafes and one waitress even gave her a special bowl of water and offered food for her. 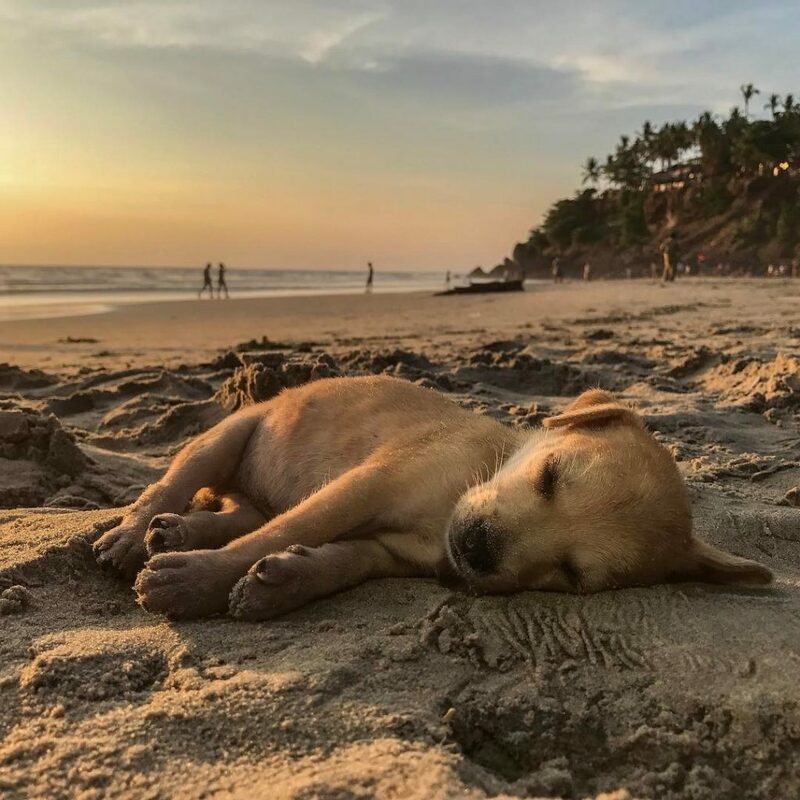 She loved to play in the sand on the beaches of Goa and so we spent two weeks there. From Goa we headed to Mumbai, and then, Jodhpur, Amritsar, Himachal, Nepal and Delhi. As a rule, we don't enter places which don't allow pets but Chapati is so well-behaved that we are often let inside some of them! She was not allowed in the Golden Temple at Amritsar, but had dinner with us at rooftop restaurants there. She was allowed in temples in Nepal though. In Himachal we went hiking up mountains with her. But she was just a puppy still and the cold was too much for her. So she spent most of her trek snuggled inside one of our jackets. But she didn't mind, and was happy as long as were together. Whenever it became too cold, we made her wear a jacket which I had made for her with socks. But how is it possible to actually travel with a dog? Everyone asks us the same question! It's hard, and expensive, but it's worth it. She has travelled by buses and trains, planes, cars, rikshaws, ferries, catamarans and motorbikes with us! The best part of our journey was the reactions of the people we met. All of them were delighted by our story. 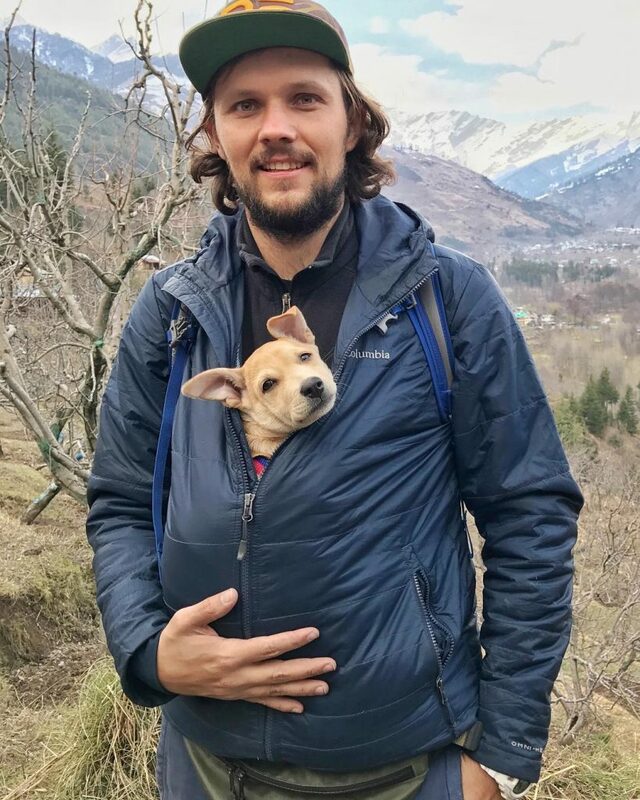 Many couldn't believe it's possible to travel with a dog. 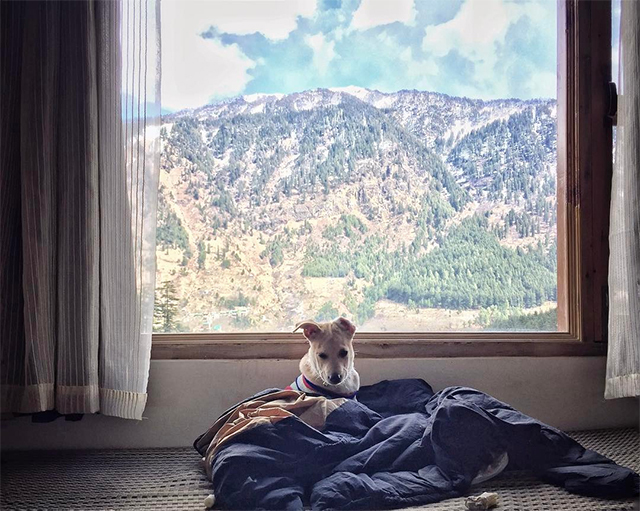 The truth is that there are more hotels which allow dogs than what the internet shows you. We would randomly walk around a city until we found one. Chapati is very well behaved, and would never pee inside a room; neither does she bark much or chew up things. In fact it was the smaller places which opened its doors for us; we had trouble finding a pet-friendly hotel in Mumbai and Bangkok. We found the rules more relaxed in India. Some people give us looks at times but very few have stopped her from entering buses and trains. She lies on our knees chewing her bone all through. She is the perfect traveller, I would say. Many people who would like to adopt dogs on their travels are simply scared by all the 'paper work'. 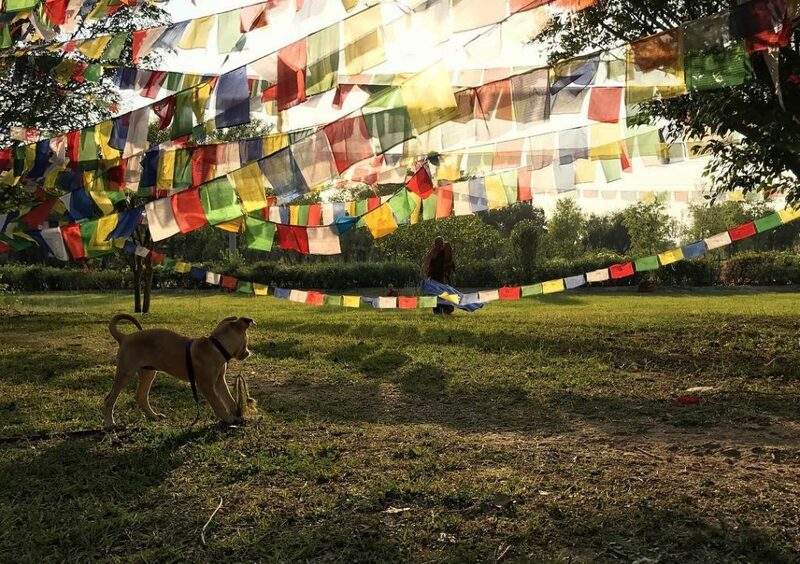 Foreign tourists often tell us how sad they felt when they had to leave behind the Indian dogs they rescued. 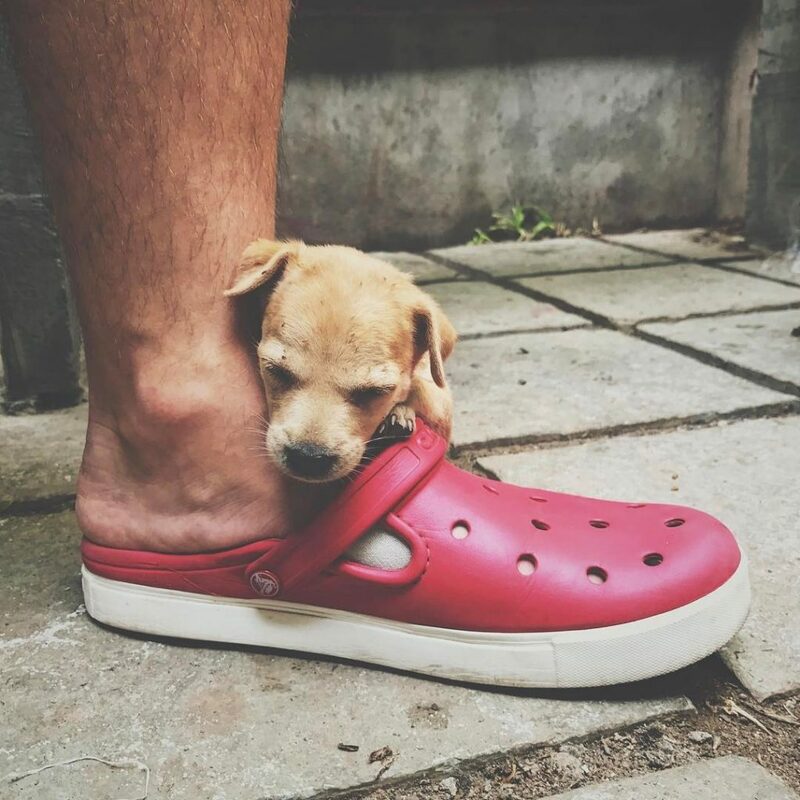 That's why we started her Instagram handle, travelingchapati, to show people that it is possible to travel with a pet. 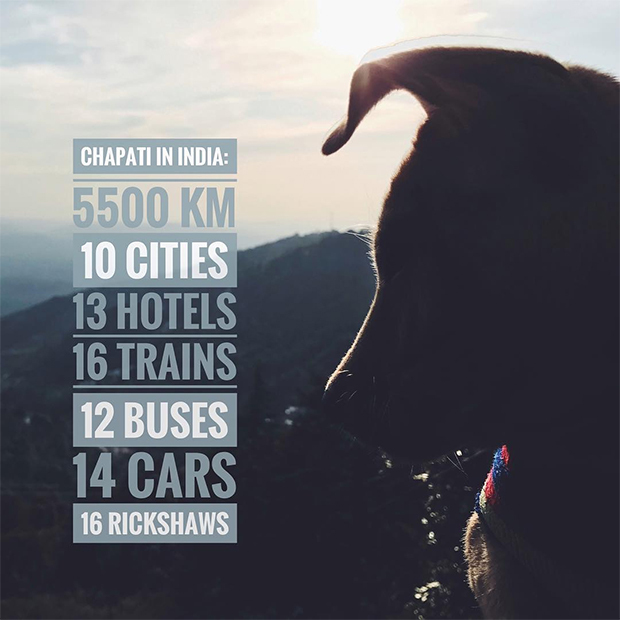 Through Chapati's story, we also wish to tell everyone that Indian dogs rock, and are as good as purebred dogs! 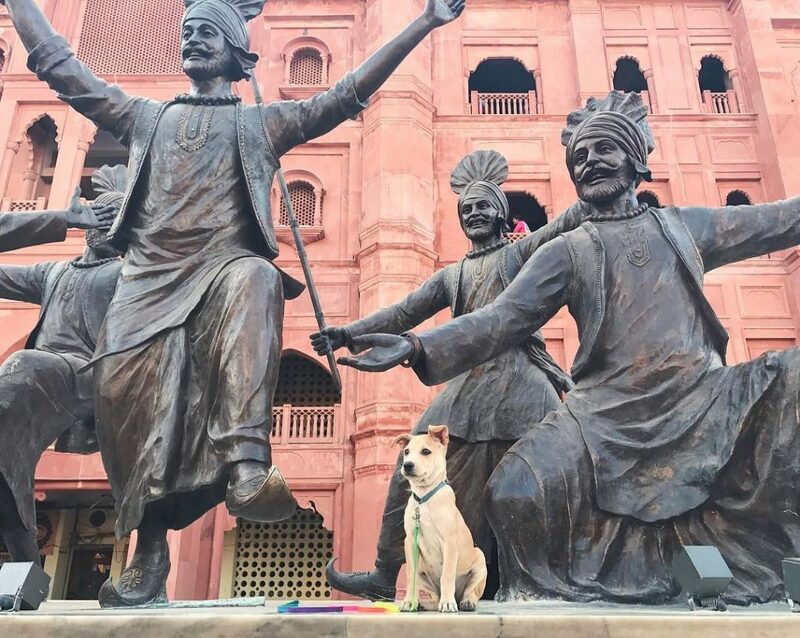 What do you feel about the situation of Indian dogs in India? How is it in Ukraine? It makes me sad to see that so many people are afraid of dogs here. Many warned us that all street dogs have rabies. I think this myth comes from a misunderstanding between people and dogs. Dogs get aggressive mainly to defend themselves and are dirty and ill because people create such conditions for them. In Ukraine, you come across street dogs very rarely so you might think the situation is better but it's not. At times, some packs who you see daily suddenly disappear. We think the government is behind it. It's a global problem, and only shows itself variously in different countries. But we've met so many animal lovers on our way. If all of us work together, we can make Planet Earth a lovely home for all creatures. Where are you now? What next? We are in Thailand right now, and plan to goto Philippines next, and are doing the paper work for Chapati. We don't plan anything further than the next city. 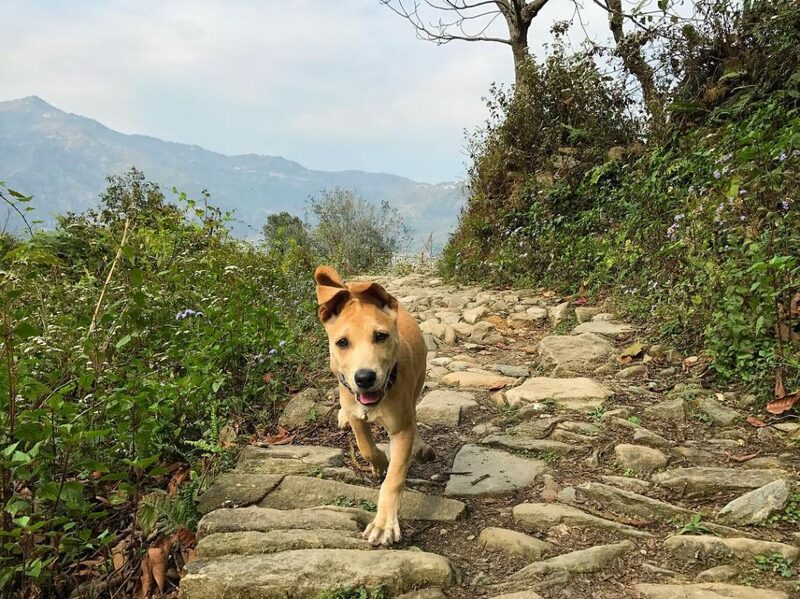 Chapati likes adventures now and as soon as she spots us collecting our stuff to leave the hotel, she gets excited and starts wagging her tail as if to say, 'I'm ready for more!' She is now a little bigger and explores things all by herself. I'm wondering if she will like staying in one place at the end. My ultimate dream is to make a dog shelter. After getting Chapati, I feel stronger about the cause; that the dream will come true soon. 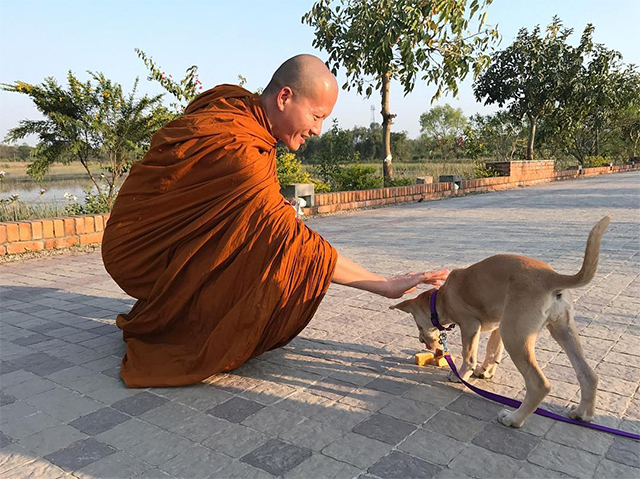 Right now, our main goal is to help people who wish to adopt dogs from other countries. People ask us if we are crazy, even our own families asked us, but we plan to take Chapati with us when we go back to Ukraine. We are also considering settling down in an Asian country as we have fallen in love with Asia. The only thing we are sure of now is that the three of us are a family, and we will be together, wherever we go. Previous Article Indian Dog Owners Must Get Their Pooches Registered With The Kennel Club Of India. Here's Why? 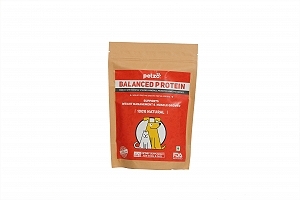 Next Article Natural Nutritional Solution For The Well-being Of Pets.